We all love a bit of good comedy on TV and our Data Analyst Nikke clearly has some good taste! My selected 5 comedy TV shows for fall/winter evenings. Winter is coming. That means spending dark evenings at home and for many people, that means watching TV or films. For me, that means sitcoms, especially American sitcoms, although I do watch sitcoms all year long, but I thought I’d share a few of my old favorites and a couple of newer shows that I recommend to try out, if they are not familiar to you yet. Frasier is quite possibly my all time favorite TV series. There’s so much to like, great cast, good writing and a number of good directors for the episodes, such as James Burrows and Pamela Fryman, those 37 Emmy awards are nothing to sneeze at either! The series has clever and witty humor, great story lines and remarkable amount of guest stars as callers to Frasier’s radio show among other things. Frasier ran for total of 11 seasons and I could only see a minor dip in quality of the series in the last two seasons, which is pretty good for such a long series. With almost every series, there is an episode or two that I don’t enjoy watching, but that’s not the case with Frasier, I really enjoy every episode. But to my shame, I must confess that it took me quite a few years before I started watching Cheers, so I started my journey with the spin-off! What a rookie mistake. 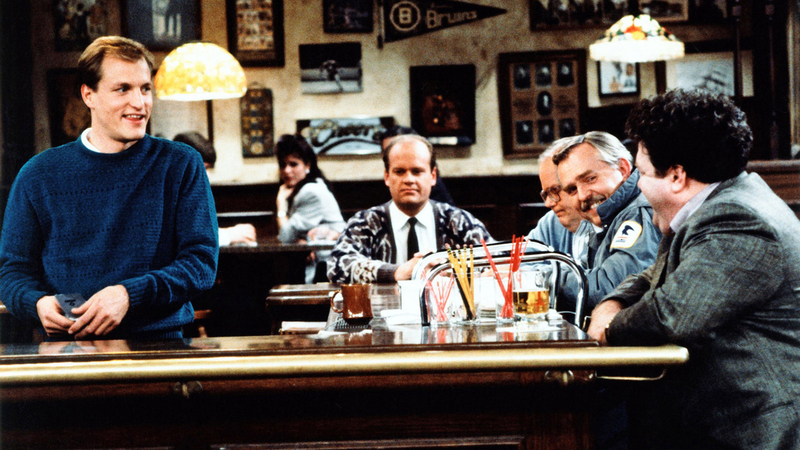 Cheers is where it all started, at a bar. Cheers debuted horribly, being amongst the worst series rated that season, but it made a remarkable come back and is now considered one of the all time greatest sitcoms by critics. And the theme song, so catchy and good that it also received Emmy nominations! As with Frasier, this show had an amazing cast, great writers and James Burrows directing the majority of the shows (237 episodes out of 270) is never a bad idea. Cheers left a legacy in sitcom unlike any others before it, it created long-lasting story lines for sitcoms, which quickly became a model and a standard for sitcoms. Long-lasting character development, back-and-forth character relations and so on, without losing the interest of the audience. Frasier was introduced to the series in Season Three and Kelsey Grammer wasn’t the first choice as Frasier, their first choice was John Lithgow, an amazing actor himself, but what a world would we be living in, if John Lithgow would be Frasier Crane and Kelsey Grammer would be an alien from outer space and teaching physics to high school human beings?! Cheers tells us more about Frasier and Lilith and also, we learn about how Frasier’s dad was dead, according to Frasier, but he was alive and kicking in Frasier! Usually, I can’t just let these kind of errors go, but John Mahoney as Martin Crane is very good and if that is how we got Eddie the dog, I’ll let it slide. One of the oldest series I’ve ever watched every episode of, only beaten by the 1960’s Adam West starring Batman live-action TV series. All in the Family brought us the Bunker family. The head of the family, Archie Bunker, was a working-class, prejudiced, super patriotic man and most episodes revolve around his life and his wife, an adult child and her husband. All in the Family was at the time considered quite controversial, covering a wide variety of controversial topics like racism, homosexuality, religion and many others. Earlier this year, I was watching some of the earlier episodes and all I could really think was that you could not say those things on TV nowadays without an outbreak in social media. 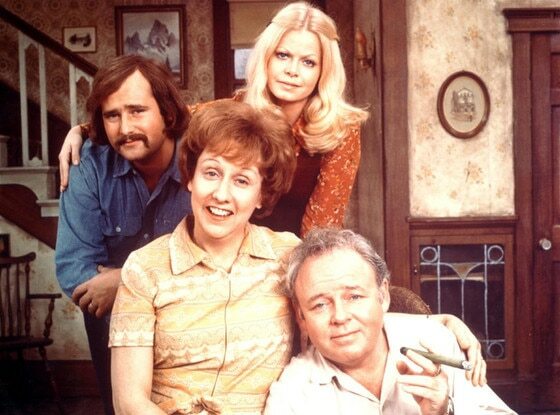 Regardless, All in the Family is one of the greatest TV series ever ranked by the critics and often considered, with Cheers, as one of the best sitcoms of all time. Like Cheers, All in the Family had a very successful spin-off, The Jeffersons. I must confess, I have not seen the full show yet, but it is on my watch list. Fairly new series, only entered on its 2nd season this fall. The show is about an extended family, with the grand parents and their three children and their families. 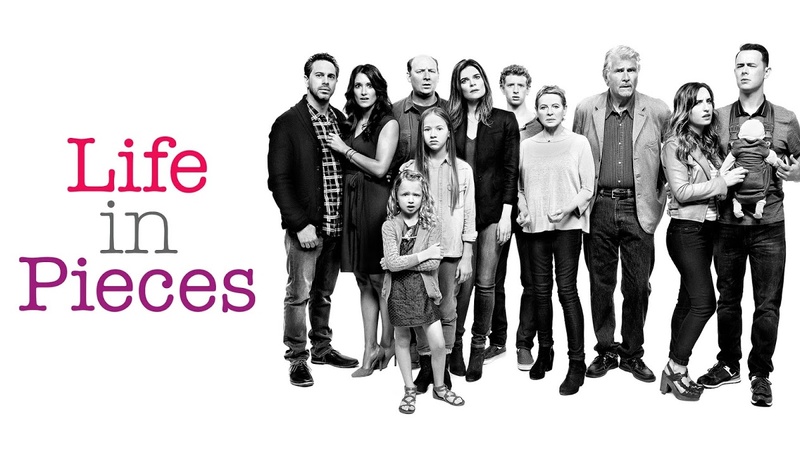 Each episode is split into 4 stories, each covering one of the families. I find this to be a fresh perspective on the show, where single segments can be either simply amazing or not. This keeps you as viewer on your toes as you are left wondering what’s going to happen in the next segment. The story lines can be connected, telling a bigger part of a story or continuing a longer-term story line, but sometimes, these segments are completely out of place and somehow it just works. The cast has been good, so far, but only after a handful of episodes, it is hard to say how the characters will develop, but so far, I’ve been most impressed with James Brolin, Zoe Lister-Jones and Dan Bakkedahl. But this is certainly a series I will be following on a weekly basis to see how it endures over time. 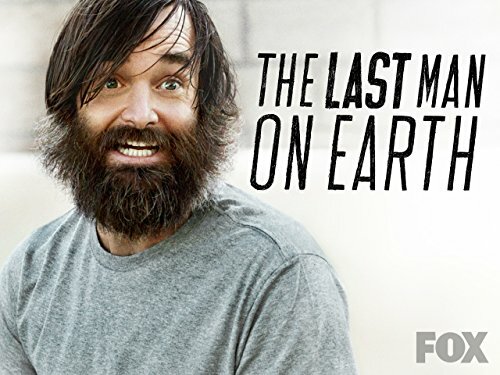 Title covers it quite nicely, Last Man on Earth. All life on Earth has been wiped out by a virus and only one person is left alive. This post-apocalyptic show is very promising from the beginning, a man doing whatever he can think of and going full Chuck Noland and instead of having Wilson the Volleyball, he has quite a range of different balls with faces who he has conversations with. This series has reached its 3rd season this fall, starring pretty big names like Will Forte, January Jones and others (sorry, spoiled it, there are other people alive as well!). While the beginning of the series was quite funny and interesting, increasing the number of people still alive on the planet has made it less interesting for me. There are still moments when the show really shines and has original ideas and humor, but I can see this series more of a short-lived, original series, that doesn’t really fit the model of typical modern sitcom like The Big Bang Theory for example. Nothing wrong with that, I still highly recommend trying Last Man on Earth for an episode or two. With these recommendations, I present you roughly 12 days, 18 hours and 30 minutes worth of funny (and occasionally some not-so-funny) TV moments, if you decide to watch all episodes of the 5 shows mentioned. That’s one way of doing 12 days of Christmas?